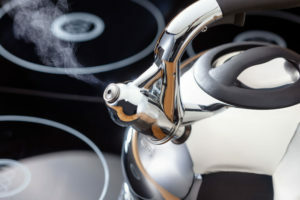 Introducing Judge’s new Stove Top Whistling Kettle JQ04. 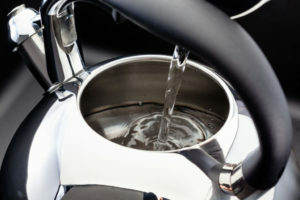 With its stylish shape and weighted stainless steel body, this 3L kettle is a winner in both looks and performance and comes with an impressive 25 year guarantee. 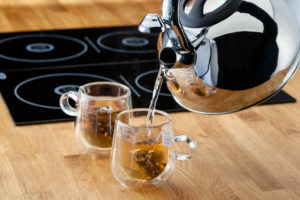 Suitable for all hob types, including induction hobs and cooking ranges, this kettle has a 4mm thick thermic base to ensure maximum heat efficiency and conductivity. The attractive, black, stay-cool handle is heat-resistant and comfortable to grip, and contains an easy-trigger-release button for spill-free pouring. Filling the kettle is easy thanks to the beautifully-designed, black lid handle. Modern technology is central to the kettle’s safety features and efficient performance, while the traditional whistle notification makes a nice nod to the traditions of the past. 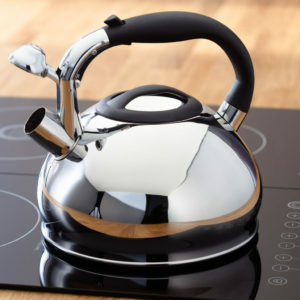 Combining excellent performance and 3L capacity with an easy-clean, stylish finish, this attractive Stove Top Kettle is certain to be a popular addition.